SOS Radio - 2018 - Right Song. Right Time. 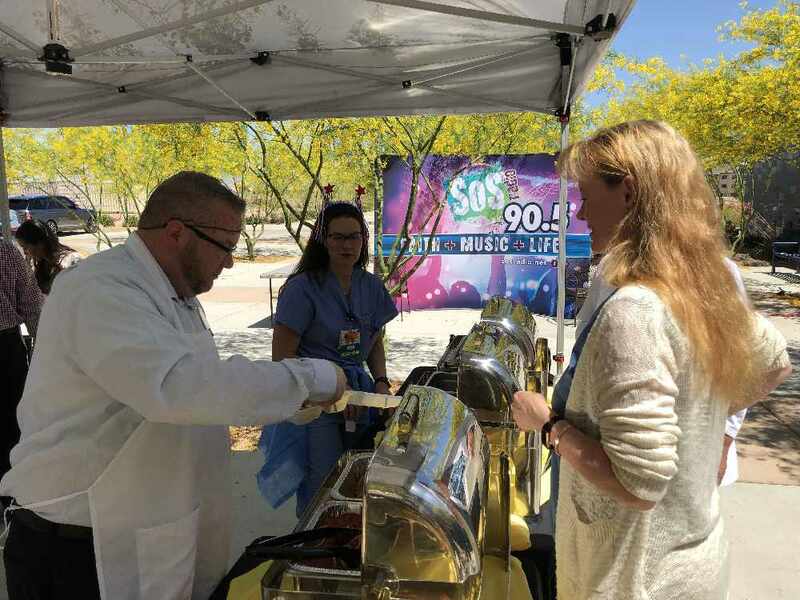 The Sos Radio community shines in service! Children with incarcerated parents often feel forgotten during the Christmas season. The SOS Radio team threw a special Christmas party with The Nevada Department of Corrections to celebrate these special children! Imagine the chow hall of a prison decked out with 20 INDIVIDUAL room Christmas settings! 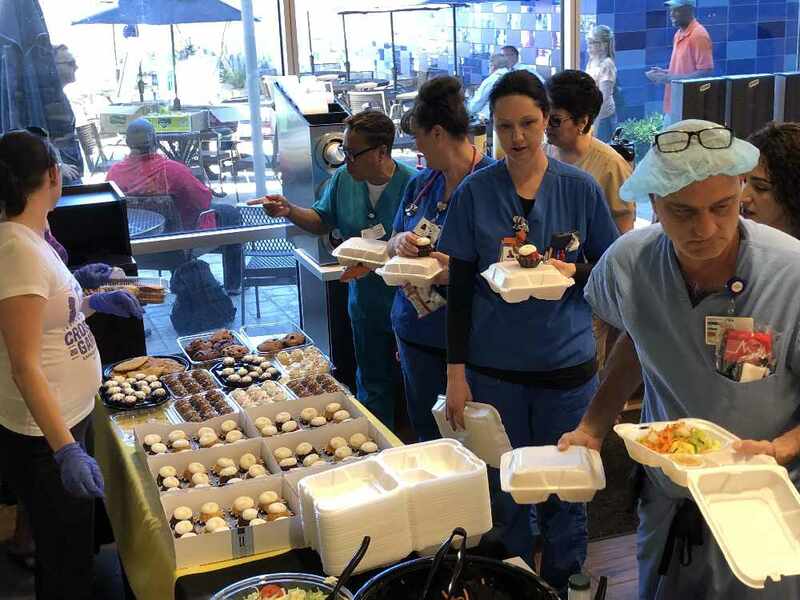 The SOS Radio team partnered with The Crossing Church to feed the ENTIRE Henderson Hospital staff for #HospitalWeek. That's over 450 doctors, nurses, social workers, lab techs and receptionist! 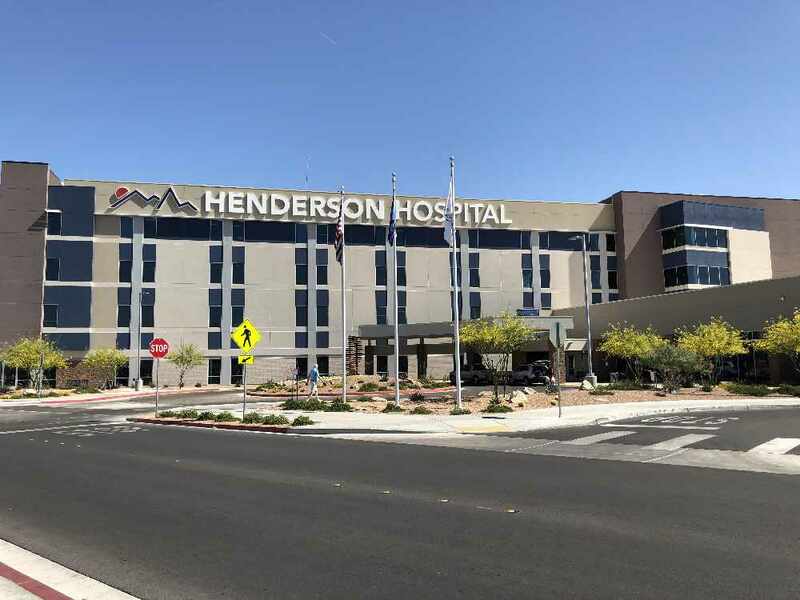 SOS Radio partnered with The Champion Center of Las Vegas for Hope Las Vegas! 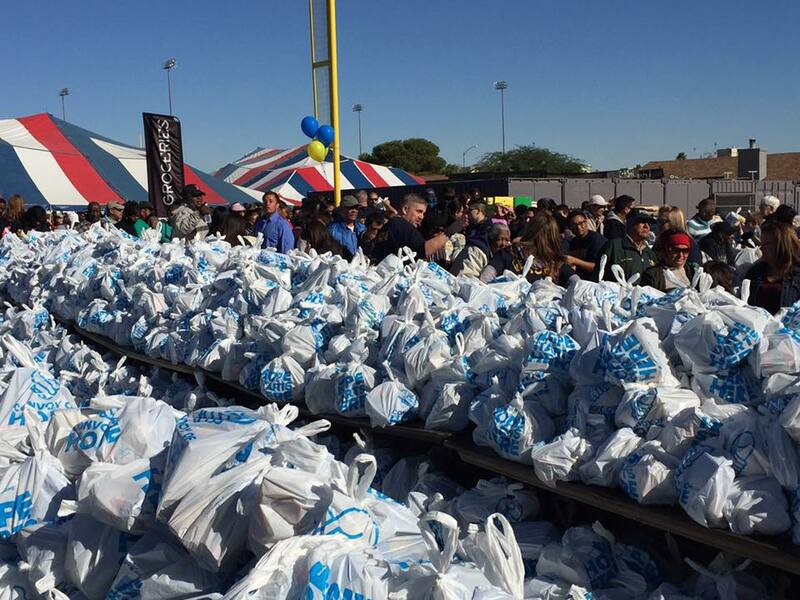 We gave out thousands of frozen turkeys, bags of groceries & fresh produce to needy families for Thanksgiving! We celebrated Police Appreciation Week with Mayor Carolyn Goodman & Sheriff Joe Lombardo in Las Vega! 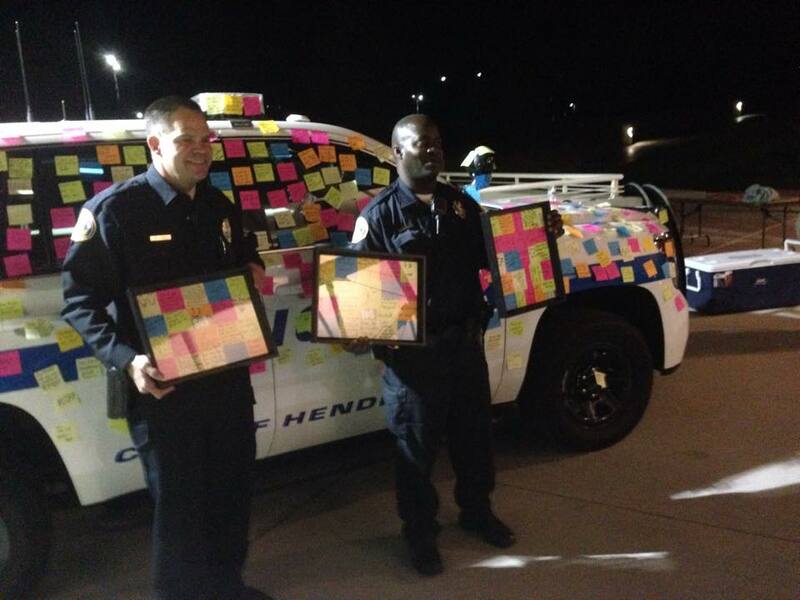 SOS Radio listeners covered a police cruiser with hand written THANK YOU notes to remind our police officers how much we love them!